Our wedding at the Boutique Relais, in Sorrento was exactly what we envisioned and more thanks to the staff at Exclusive Italy Weddings. They exceeded our expectations with their attention to detail, which made our destination wedding a memorable celebration. The food was absolutely delicious and the service was impeccable. Our favorite added touch was the oyster bar! 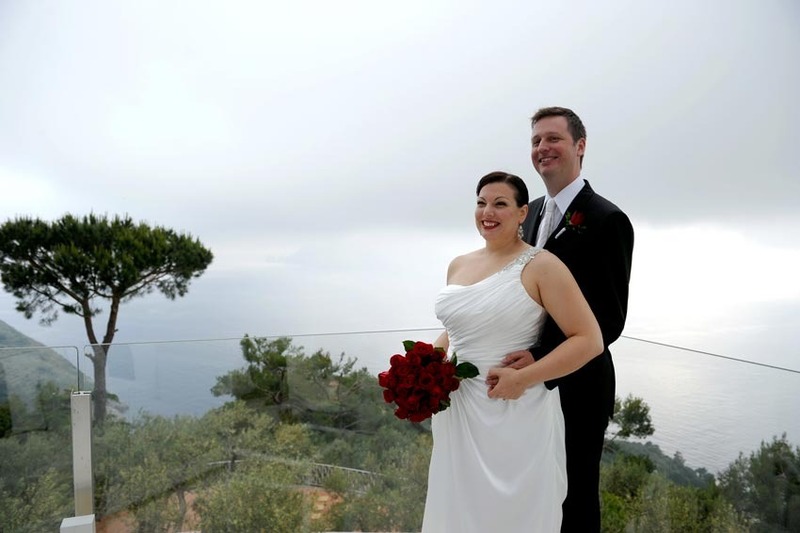 The venue was breathtaking over looking the Island of Capri. It was a wedding our guests surely will never forget. If you are looking for a gorgeous venue with exquisite views and incredible service, you will not be disappointed by choosing Exclusive Italy Weddings to plan your special day. Martina we cannot thank you enough!